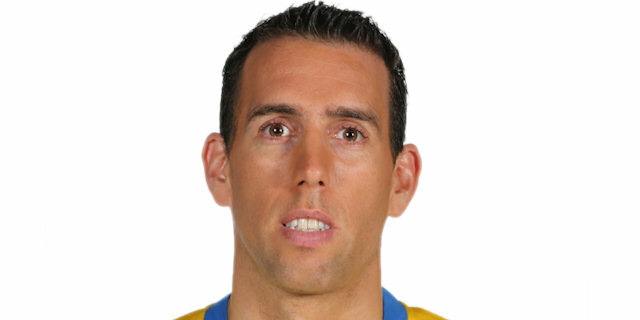 Maccabi Electra Tel Aviv hit 15 three-pointers and improved its chances to grab a spot in the Turkish Airlines Euroleague Playoffs by downing Fenerbahce Ulker Istanbul 85-94 on Thursday night. The Israeli champion picked up its third consecutive victory to improve to 5-5 in Group F, while Fenerbahce dropped to 2-8 and is all but eliminated from the hunt for one of the top four places in the group. Maccabi took the lead for good with a 1-11 run at the start of the second quarter and Fenerbahce never came closer than 4 points the rest of the way. 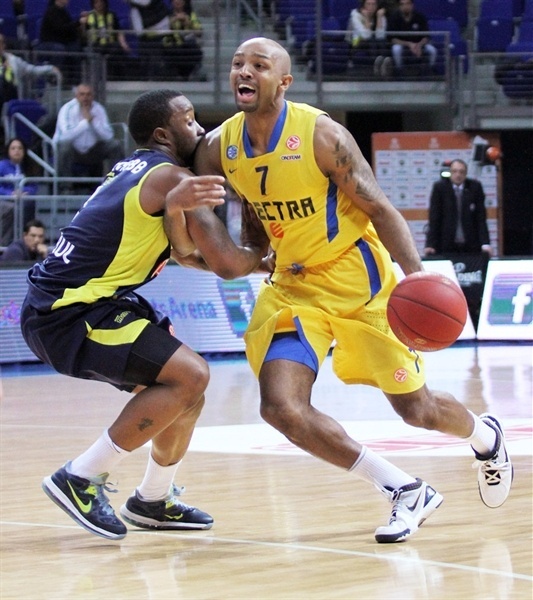 Ricky Hickman led the way in victory with 18 points and 6 assists. Devin Smith scored 16 on 4-for-6 three-point shooting, collecting 3 blocks along the way, while David Logan netted 15 on 5-for-7 three-point shooting. Shawn James added 13 points plus 7 rebounds and Darko Planinic chipped in 11 points in victory. 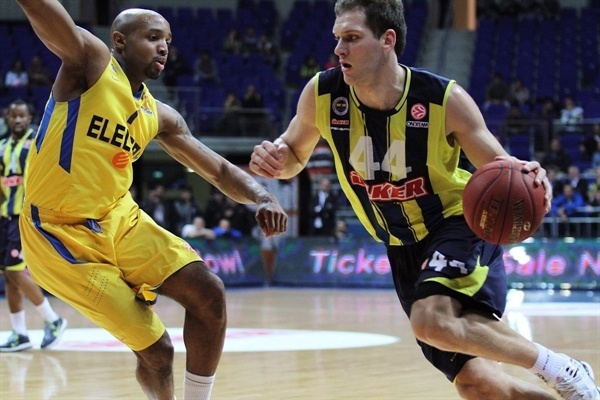 For Fenerbahce, Bojan Bogdanovic scored 12 of his 26 points in the first quarter while Emir Preldzic had 15 plus 7 assists. 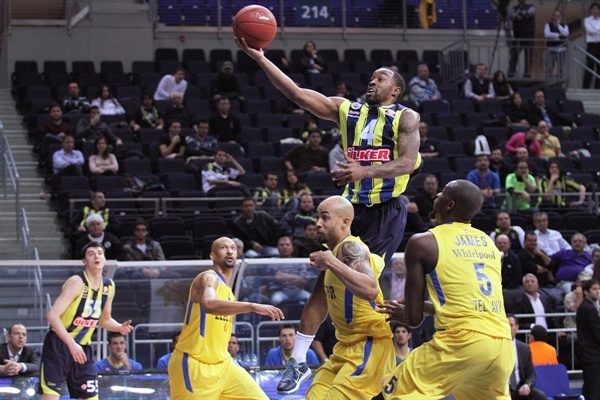 Kaya Peker scored 13 and Bo McCalebb finished with 12 in defeat. Shawn James opened the scoring with a basket-plus-foul, and Yogev Ohajon added a floater for Maccabi, which applied a full-court zone press mixed with zone defense early on. After Bogdanovic made a jumper and a fastbreak layup to open Fenerbahce's account, Maccabi extended the margin to 4-10 with Devin Smith sinking a triple and Hickman hitting a long jumper. 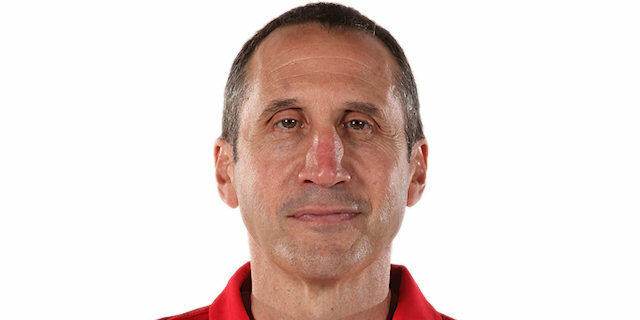 But, Bo McCalebb drove to the hoop twice as the hosts found their offensive rhythm and put together a run of 11 unanswered points, capped with a Bogdanovic three-pointer, 15-10. The lead quickly changed hands again, though, as David Logan hit a three-pointer and Darko Planinic made a basket-plus-foul for 17-18. Planinic added a reverse layup to his tally before Bogdanovic hit a last second triple for 22-22 at the end of the first quarter. Logan scored from downtown to start the second quarter, before Planinic and Lior Eliyahu converted fastbreak baskets for 22-29, forcing Fenerbahce to call a timeout. A layup from Sylven Landesberg and free throws from Moran Roth put the Israeli champs up by double figures. 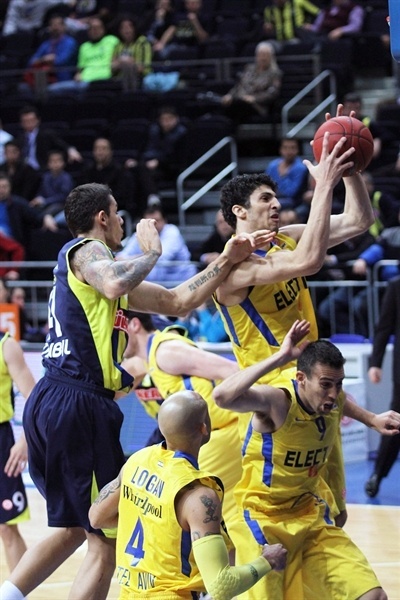 Emir Preldzic snapped the Fenerbahce drought with a driving layup, but Roth answered with a three-pointer extending the margin to 11. Fenerbahce got a spark from Peker who scored twice inside, then grabbed an offensive board, before Preldzic hit a triple from the right corner for 32-38. The hosts got within 4 points with a jumper and a pair of free throws from David Andersen, but in the final 90 seconds of the quarter, Hickman first hit a triple, then made 3 of 4 free throws, before racing the length of the floor and nailing a buzzer-beating three-pointer for 40-49 halftime lead. Bogdanovic and Logan traded triples to open the third quarter, and Smith scored a fastbreak layup for 43-54. 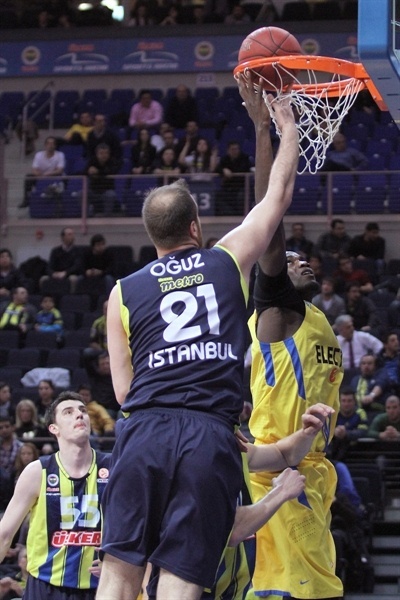 Bogdanovic answered with another three, and Peker muscled in a basket-plus-foul for Fenerbahce, but Ohayon and Smith answered with back-to-back triples to restore a double-digit margin. After Preldzic hit a jumper and a triple, Hickman made a three-pointer and Roth made a baseline floater during a 0-7 spurt for 56-71. On the other end, Bogdanovic snapped the visitors’ run with a layup, and Omer Onan sunk a jumper with a buzzer for 60-71 going into the final 10 minutes. Logan and Onan traded three-pointers at the start of the fourth quarter as the hosts tried a three-quarter zone press and a 2-3 zone defense to disrupt Maccabi’s rhythm. Layups from Bogdanovic and McCalebb cut the deficit before a basket-plus-foul from Oguz Savas brought Fenerbahce within 72-78. However, Ohayon and Smith sank back-to-back triples to push the margin to 74-84, giving Maccabi some breathing room, before more triples from Logan and Smith sealed the deal. McCalebb, Preldzic and Savas cut the deficit in the final two minutes of the game, but it was too little, too late for a comeback. "We came today with a very determined mindset knowing that this was a critical game and we played accordingly. We had time to prepare for this game and that helped us. We got excellent contributions from a lot of players. The guys that came off the bench lifted the team at the end of the first quarter and in the second quarter and in the second half. 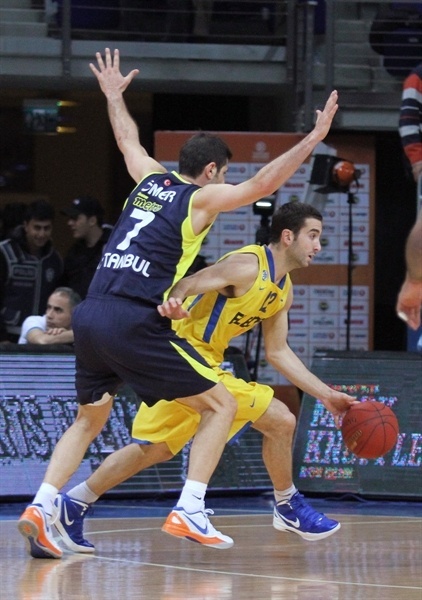 We saw some great basketball and teamwork and that’s how Maccabi needs to play. We made a lot of three-pointers because we moved the ball well and got to open shots; we didn’t take crazy shots. The game against Khimki could determine our entire season and it will be a real battle." "We showed a lot of character today. We have been doing this week after week since the start of the second half of the Top 16. We came back into the promotion battle by ourselves; we did it through talent, determination and faith in our game. We can’t wait for Khimki, that’s our game of the season. Personally I am very happy that I had a good game from the moment I came off the bench and that I helped Maccabi take this important win. I am always ready, in any situation, to be there for the team."